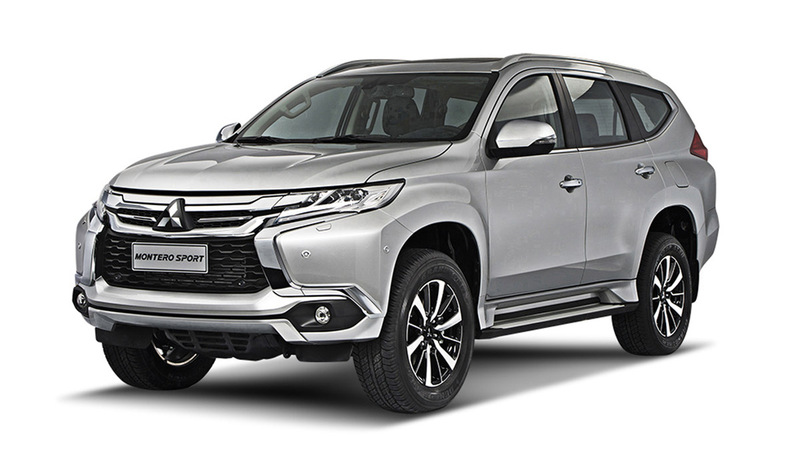 As you know, Mitsubishi Motors Philippines once again has its hands full trying to convince the motoring public that the Montero Sport is "neither defective nor unsafe to use." And that's because allegations about the popular midsize SUV's so-called sudden unintended acceleration have resurfaced--just as the Japanese carmaker is preparing to launch the second-generation model, amusingly. For our part, we have likewise written another piece on the subject, and we really hope that's the final one. In the meantime, while the accusers continue to argue their case both on social media and in mainstream media, MMPC would like to share practical tips on how to properly operate a motor vehicle equipped with an automatic transmission. 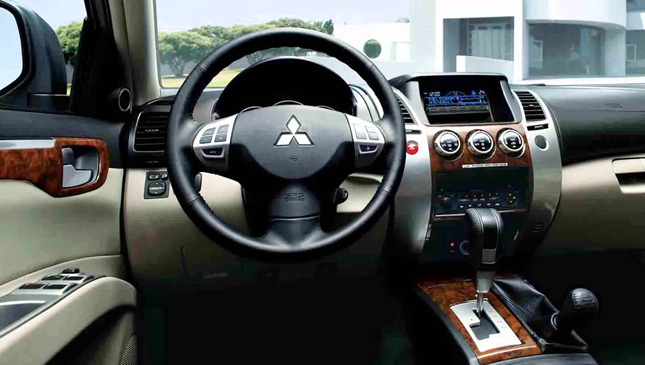 The implicit connotation is that those who find themselves hitting objects and subsequently blaming unintended acceleration simply do not know how to use automatic shifters. 1. Make sure the gear selector and pedals are unobstructed by floor mats, cellphones, etc. 2. Make sure the parking brake is activated. 3. Make the proper adjustments to your mirrors, seat position, etc. 4. Put on your seatbelts. 5. Make sure the gear selector is at P (Park) before starting the engine. 6. Firmly step on the brake pedal while starting the engine. 7. 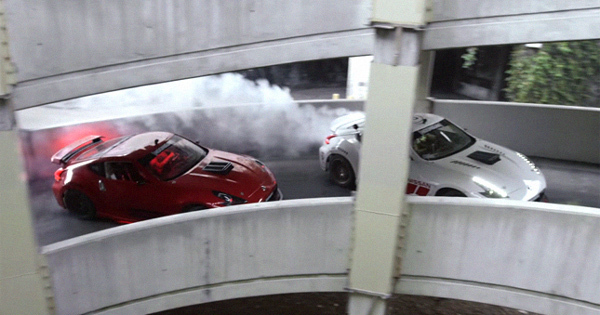 Never rev the engine before shifting the selector to the D (Drive) or R (Reverse) position. 8. Keep the brake pedal depressed when shifting the selector to the proper gear (D for Drive or R for Reverse). Check surroundings before moving the vehicle. 9. Release the parking brake before slowly releasing the brake pedal--the car will start to move slowly. 10. Step on the accelerator pedal gently, and the car will begin to move faster. There you go. If you think about it, some drivers do need to be spoon-fed when it comes to basic driving instructions. 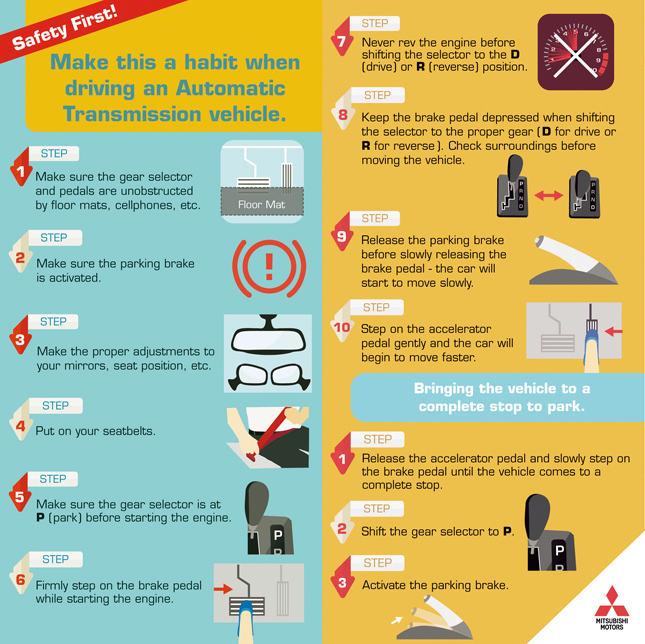 Share these tips with a family member or a friend who drives an automatic-transmission vehicle, Montero Sport or not.